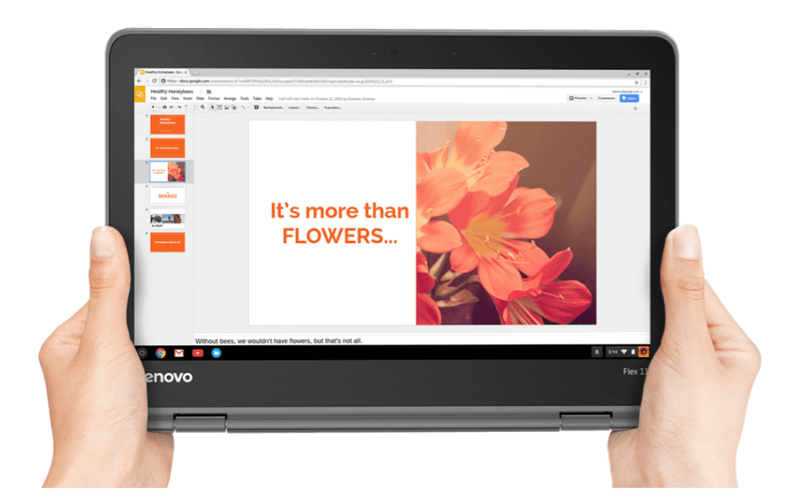 Lenovo has continued to expand their Chromebook portfolio with educational devices and now it looks like they are fanning out in the consumer market as well. Today they added a new convertible device to their Chrome OS line-up. I was a bit taken aback when I first saw the news as I wasn’t aware of another Lenovo device about to hit the shelves. 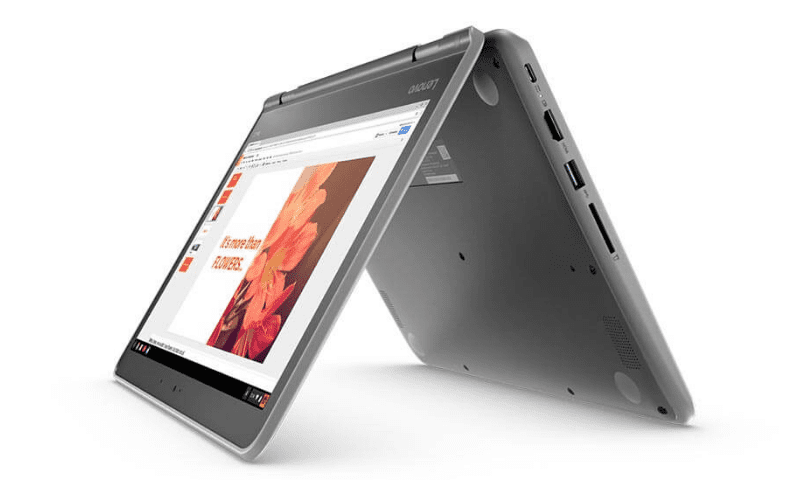 Upon further inspection, I found the new Lenovo Chromebook Flex 11 looked very much like another device. First, the ins and outs of the new Lenovo Flex 11. What we find under the hood are mid-range internals comparable to the Acer Chromebook R13 with less storage. Powered by the MediaTek MT8173C ARM processor, the Flex 11 comes equipped standard with 4GB RAM and 32Gb eMMC storage. The 11.6″ display is HD(1366×768), touch IPS at 250 nits of brightness. Nothing outstanding but it will get the job done. At a lower resolution than the larger Chromebook R13, the Lenovo Flex 11 may prove to be a tad zippier, pushing less pixels. Apart from that the Flex 11 Chromebook features some ruggedized options like that of an Educational device. A sealed touchpad, drop-resistance and a water-resistant keyboard gives it the perfect accents to be geared towards students who need a tougher device. This when it occurred to me that the Flex 11 Chromebook appeared to be the identical twin of the recently announced Lenovo N23 Chromebook Yoga. Turns out the N23 was the device we knew as ‘Hana’ that we had been tracking in the Chromium repositories. A little deeper look and you will see these devices are, in fact, exactly the same. No, this isn’t the same image from the beginning of the article. If you notice the bottom right corner of the devices, one is branded the Flex 11 and the other the N23 Yoga. We reached out to Lenovo and confirmed that the Flex 11 is being marketed to the general public and the N23 Yoga is targeted at educational institutions and will be sold via Google partners with the Chrome management console in tow. The N23 will also have the option to downgrade to 2GB RAM and 16GB of storage to keep cost down. The Chromebook Flex 11 will be available soon for $279. You can still get your hands on the N23 Yoga Chromebook on Amazon for just a couple dollars more if you don’t want to wait.